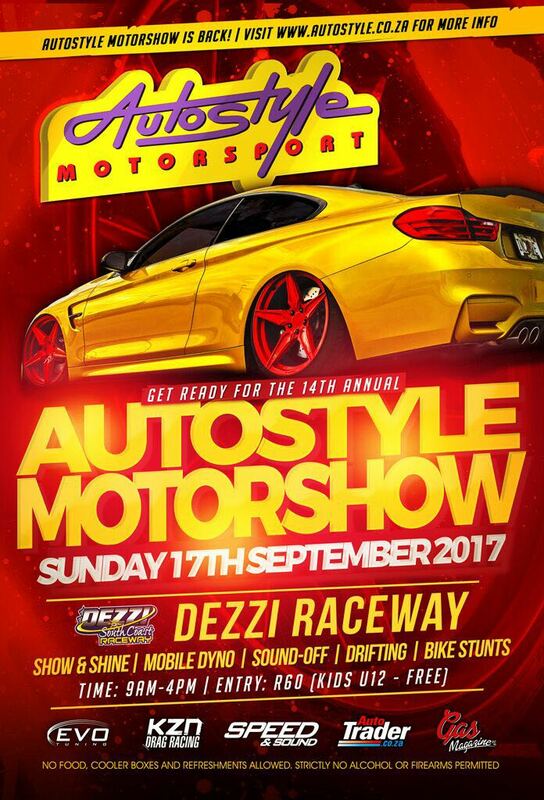 The 14th edition of the Autostyle Motor show is back. Please save the date Sunday 17 September 2017. This event is 2 years in the making and we have decided to take it to the next level. 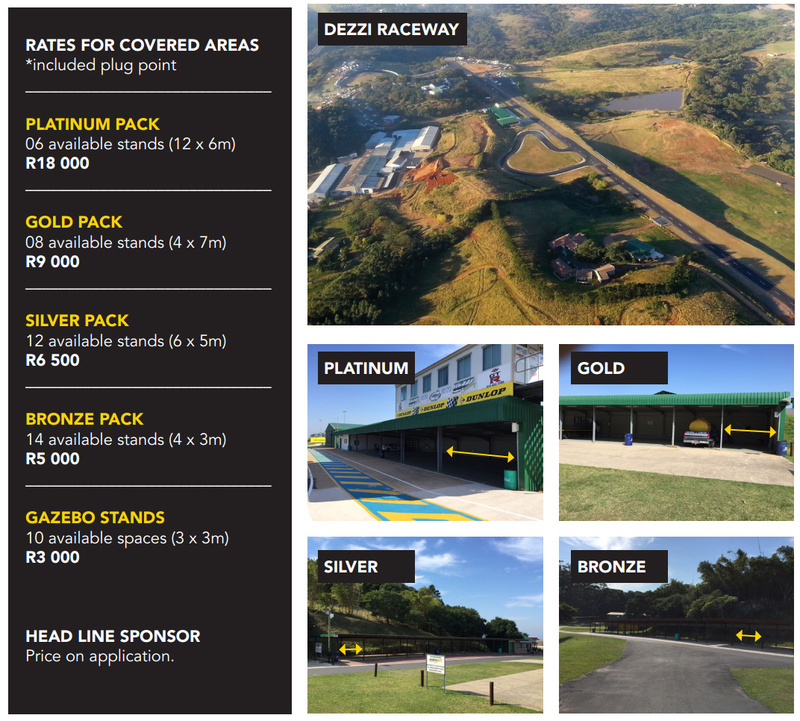 Autostyle Motorshow will now take place at the only Motorsport South African approved Race Track in KZN, Dezzi Raceway in Port Shepstone. We have finally found a venue that can accommodate our loyal patrons and fans that have supported the show over the last 15 years. Dezzi Raceway is a mere 60 minute drive from Durban central and we are very excited to work with the raceway this year. We do understand the distance but we do not want to disappoint any of our 700 entrants and the thousands of spectators that attend the show each year. 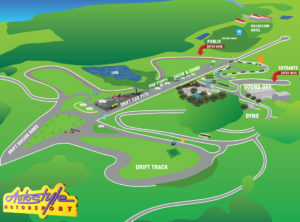 This year we have decided to include a massive Car Styling element with all show cars being displayed on the 2.5km Race track . Spectators this year will be treated to a visual feast of Drifting, Show and Shine, Sound Off, Dyno Challenge, Drift Rides, Bike Stunts, etc. Autostyle Motorshow always attracts Cars from all around the country and this year will be no different. Entry Fee is R60 for general public, Kids under 12 enter free. 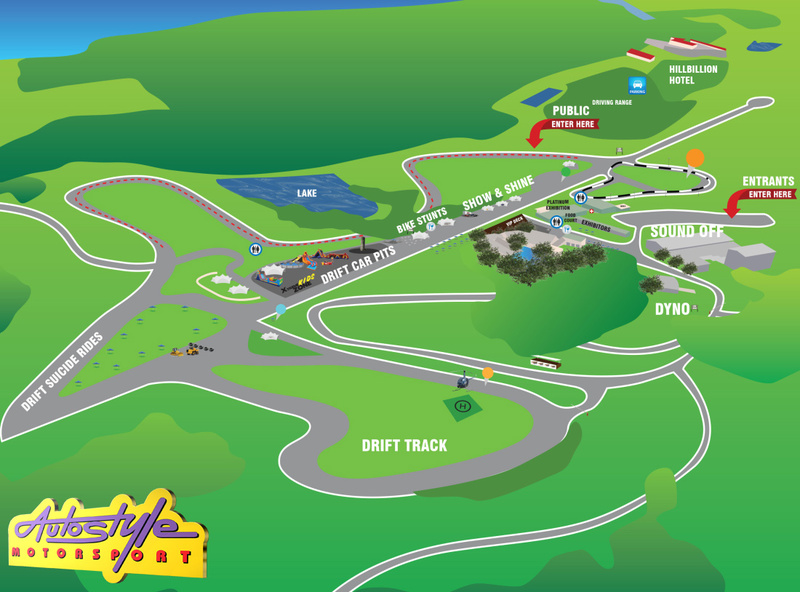 Show & Shine, Sound Off and Dyno fees are R150 with all drivers entering the Motor show at no Charge. Drift or Suicide Rides will be available at a charge of R200 each. Event Coverage courtesy of Ignition TV, Speed & Sound and Gas Magazine. To book a stand at the motoring event of the year please email motorshow@autostyle.co.za. Time : 9am – 4pm . General : No alcohol , No Food , No Cooler boxes , No Weapons , No Drugs will be permitted. What to bring : Non branded Gazebos will be allowed , camping chairs , Sunblock and a good attitude.